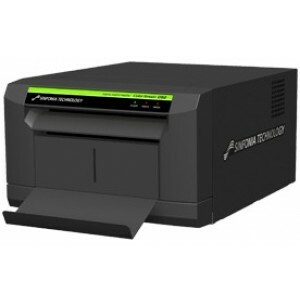 The Sinfonia CS2 printer is one of the world's smallest and lightest photo printers in it's class, while still maintaining excellent print quality, durability and fast print speed. The compact design enables you to use this printer for your photo booth, ID system, mini kiosk, event / photo, amusement and theme park photo, etc. The printer will produce cut a 4x6 into two 2x6 strips, perfect for photo booth applications.